Old Wo Fat Building, Honolulu's Chinatown. photos by John Penisten. While some may think it an unfriendly and inhospitable environment, Chinatown is one of the more ethnically and culturally diverse neighborhoods in cosmopolitan Honolulu, Hawai`i. No other area of the Hawaiian Islands provides as much of a cross-cultural experience as does Honolulu’s Chinatown. And while a stroll down its streets reveals the influence of other peoples and cultures, from Japanese to Korean, Filipino, Thai, Vietnamese and Hawaiian, Chinatown is quintessentially Chinese at heart. Visitors quickly learn that Chinatown is a microcosm of today’s Honolulu and certainly a must-stop on a visit to the islands. Located adjacent to central downtown Honolulu, Chinatown’s compact area is easy to explore on foot. Chinatown is a 15-square block area bound by Nu'uanu Stream and River Street on the north, Bethel Street on the south, and by Beretania and King Streets east and west. Getting lost is no problem and some incredible discoveries await. So, grab those walking shoes and come along, let’s discover Chinatown in Honolulu. The first recorded arrival of the Chinese in Hawai'i was in 1788. But in 1852, the Chinese were the first immigrant group of contract laborers to arrive in the islands to work on the growing sugar cane plantations. Upon completion of their labor contracts, many relocated to the growing Chinatown area of Honolulu to enter trade and commerce. The area has always been something of an exotic mix of cultures and peoples. And over the years, Chinatown gained a notorious reputation as an undesirable slum area noted for saloons, debauchery, drugs, and dens of ill repute. 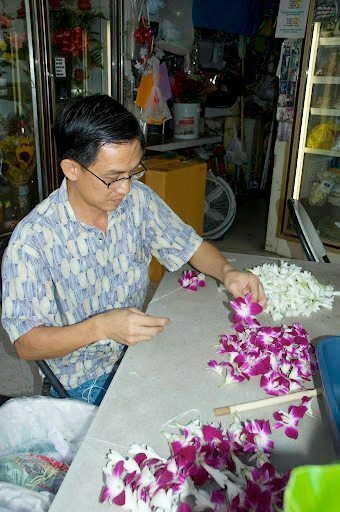 A lei maker in Chinatown, Honolulu. photos by John Peniston. The area’s most significant event took place just over a century ago on January 20, 1900. This was the Great Chinatown Fire, an effort by the Honolulu Board of Health and Fire Department to control an outbreak of bubonic plague in the slums. It was an attempt to do a controlled burning of certain rat-infested buildings. However, the fires quickly got out of control and many of the numerous wooden structures were soon engulfed by flames. The fires burned for seventeen days, destroying thirty-eight acres of property and leaving 4,000 residents homeless. Somewhat ironically, the Board of Health declared the area plague-free four months later. Today’s Chinatown doesn’t have to worry about things like bubonic plague and its former reputation for debauchery and worse has been toned down considerably. For sure, there are still a couple of seedy taverns and bars along Hotel Street that are probably best avoided. But that’s Chinatown. It probably wouldn’t be the same without a couple of warts or blemishes. During the 1980's-90's, Chinatown went through a revitalization program which resulted in a new look for the neighborhood. Buildings were fixed up and made to conform to historical codes in structure and appearance. It helped retain Chinatown’s old look while blending into the new. The area sports a new look now, much cleaner and more appealing. But Chinatown also retains its cultural essence with its Chinese herbal medicine shops, dim sum and noodle restaurants, manapua shops, art galleries, and the hustle and bustle of its open-air markets and vendor stalls. It’s what makes Chinatown a unique and colorful attraction in urban Honolulu. Chinatown isn’t the squalid slum it once was long ago. In fact, today’s Chinatown is a fun place to visit, to stroll through, enjoy a market visit, eat some great dim sum, or just take in the cross-cultural diversity of Honolulu’s most colorful and historic neighborhood. There are lots of great places to discover on a self-guided walk through the area. To start with, there are some colorful open-air markets including Oahu Market, at the corner of King and Kekaulike Street; the Kekaulike Market on the Kekaulike Street Mall between King and Hotel Streets; and Mauna Kea Market Place on Mauna Kea Street between Hotel and Pauahi Streets. The Oahu Market is the oldest Produce Market in Honolulu founded in 1904; the others are much newer. But each has a number of vendor stalls selling everything from fresh fish and seafood, fresh cut meat, char siu pork and chicken, roast duck, plus tables piled high with colorful fresh vegetables, fruits and produce of all kinds. 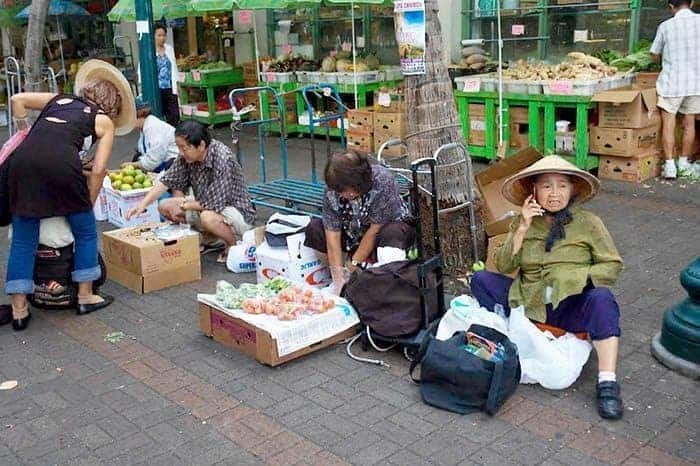 The Chinatown markets provide a quick course in the ethnic cuisines of Hawai`i. This is ethnic food at its best. Browse the seafood and meat counters and trays of hogs’ heads’, beef tongues, tripe, kidneys, and intestines, in addition to the usual steaks, chops, roasts, etc. The markets make for an interesting shopping adventure! Don’t miss a visit to one of Chinatown’s cultural icons, a Chinese herbal medicine shop. Among these colorful and somewhat mysterious shops are Tak Wah Tong, 115 Beretania in the Chinese Cultural Plaza; Fook Sau Tong, 112 N. King Street; and Chee Wo Tong, 1033 Maunakea Street. These are among the better known herb shops. Herbal medicines for sale at the Chinese Market. Here’s a sampler of some trusted Chinatown eateries, although there are many more: Thai to Vietnamese, Korean to Japanese, Filipino and, of course, Chinese cuisine. Char Hung Sut Manapua, 64 N. Pauahi Street, 538-3335; this is perhaps Chinatown’s most famous manapua maker; best noted for its boxes of take-away manapua, char siu, noodles, pork hash balls and more. Call to place orders for pickup or go early, they sell out fast. Open daily from early to mid-day or when they sell out. Glowing Dragon Seafood Restaurant, 1023 Maunakea Street, 521-4492; this small cafe offers a long menu of unusual Chinese specials such as shredded cold jellyfish, Peking duck, beef stew with turnip casserole, duck web with black mushroom casserole, char siu foo yong, capital pork ribs, sliced beef with rum sauce and many more. Open daily 10 AM - 2 AM. Indigo, 1121 Nu`uanu Avenue, 521-2900; this is perhaps Chinatown’s most upscale restaurant with a menu of Euro-Asian cuisine; treat yourself to delicious dim sum and entrees such as Emperor Po’s ginger ham shanks, black mustard ahi steak, or Shanghai mahogany duck with bao buns; dessert includes many times rich goat cheesecake, seven sins chocolate meringue cake, and the popular Madame Pele’s chocolate volcano. Lunch Tues-Fri 11:30 AM - 2 PM, dinner Tues-Sat 6-9: 30 PM. Little Village Noodle House, 1113 Smith Street, 545-3008; this small and busy eatery has just a handful of tables and chairs but is big on a menu of creative local-Chinese cuisine. Choices range from orange chicken, fresh akule, stir-fried clams, sizzling butterfish, duck noodles, spicy sour cold noodles, Shanghai mochi in soup, chow funn noodles, curry rice noodles, and much more. Open 10 AM to midnight daily. Food Court, 1120 Maunakea Street; in this open market are a variety of food stalls, lunch counters and small restaurants with a variety of Asian cuisines available plus produce stands, butcher shops, seafood shops, bakeries and more. Mei Sum Dim Sum, 1170 Nuuanu Avenue, 531-3268; this bright clean eatery offers a wide selection of Hong Kong-style dim sum such as shrimp dumpling, half moon, lotus sugar bow, tripe, scallop dumpling, black bean sauce spareribs; the steamed dim sum and buns are light, fluffy and delectable; menu entrees include seaweed tofu soup, Szechuan shrimp, drunken chicken, pork ong choy, chow funn, look funn and much more. Be aware that the ladies pushing the dim sum carts around sometimes tend to just start putting dim sum baskets on your table without asking, so be sure to order specifically what you want. Open daily 7 AM – 8:45 PM. Empress Restaurant, 100 N. Beretania Street, Chinese Cultural Plaza, 521-5055; this busy restaurant features a menu of Hong Kong-style dim sum and traditional Chinese cuisine including entrees like beef with zesty orange sauce, shredded beef in taro nest, Peking duck, pot roast pork, lemon and ginger chicken, plus noodles, shark’s fin and bird nest soup and much more. This is one of the largest Chinese restaurants in Honolulu with ample seating. Open daily 8 AM – 9 PM. Ruby Restaurant & Bakery, 119 N. Hotel Street, 523-0801; this is a popular restaurant with locals and has a reasonably priced menu of traditional and local favorites. The most popular items are jook (rice soup), what many consider the best fried rice in Honolulu, a special rice casserole with black mushroom and chicken or lap-chong (Chinese sausage), and much more. Ruby’s is famous for authentic Hong Kong-style baked goods. Open daily 6 AM – 8 PM. The website has detailed information on what to see and do, activities, dining, and more. A self-guided walking tour map can also be printed out at the website. 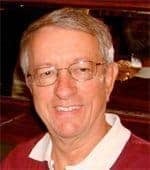 John Penisten, a resident of Honolulu, is a regular contributor to GoNOMAD.